Over the past decade, there have been a series of internet-linked attacks on American interests, including North Korea's retaliatory hack of Sony Pictures, China's large-scale industrial espionage, Russia's 2016 propaganda campaign, and quite a lot more. The cyber war is upon us. Former Assistant Attorney General John Carlin has been on the frontlines of America's ongoing cyber war with its enemies. 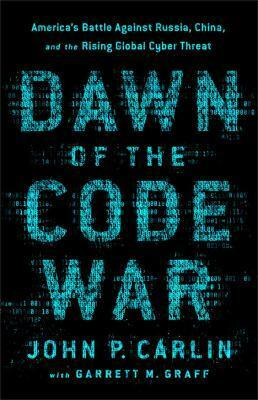 In this dramatic book, he tells the story of his years-long secret battle to keep America safe, and warns us of the perils that await us as we embrace the latest digital novelties -- smart appliances, artificial intelligence, self-driving cars -- with little regard for how our enemies might compromise them. The potential targets for our enemies are multiplying: our electrical grid, our companies, our information sources, our satellites. As each sector of the economy goes digital, a new vulnerability is exposed. The Internet of Broken Things is not merely a cautionary tale, though. It makes the urgent case that we need to start innovating more responsibly. As a fleet of web-connected cars and pacemakers rolls off the assembly lines, the potential for danger is overwhelming. We must see and correct these flaws before our enemies exploit them.